Microneedling is one of the most effective ways to restore youthful, firmer, more even-toned skin, diminish and improve bad scars from acne starting with your very first session. 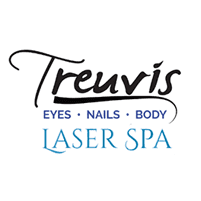 With their expertise in modern microneedling techniques using the MicroPen, the spa technicians at Treuvís Eyes Nails Body Laser Spa in Clinton Township, Michigan, offer some of the most effective microneedling treatments available. To schedule your microneedling visit, click on the online scheduler or call the spa directly. Microneedling with the revolutionary MicroPen involves gliding a specialized tool that contains dozens of tiny micro-thin needles over your skin. These needles create small punctures in your skin. Microneedling puncture wounds stimulate your body’s natural healing response, just as it does when an injury occurs. Cells immediately jump into action, start naturally regenerating, and begin repairing the “injured” area. This entire process stimulates the production of firming connective tissue known as collagen. As new collagen starts forming and tightening up your skin, you’re left with fresh new skin tissue that’s firmer and healthier. Microneedling at Treuvís Eyes Nails Body Laser Spa can even help resolve issues with age spots, hyperpigmentation, and uneven skin tone. Microneedling targets all of these issues and more. In most cases, a single session may be all you need. Your spa technician will determine if multiple sessions are needed depending on the severity and especially with some severe acne scarring and dark spots. How long is the recovery after microneedling? The recovery time after microneedling is minimal. It’s normal to experience some slight redness, swelling, or irritation for the first few days as your body responds to the tiny puncture wounds. You can certainly wear makeup to cover up any discoloration and return back to your regular activities as soon as the next day. Since your skin is going to be somewhat more sensitive after microneedling at Treuvís Eyes Nails Body Laser Spa, you need to wear daily sunscreen protection in the treated area. To get started on your path to smoother skin, schedule a microneedling session at Treuvís Eyes Nails Body Laser Spa today. Book online or over the phone.